I was struck with the sudden desire late Wednesday night to pick up Mansfield Park by Jane Austen. Among Austen’s works, it is the one I am the least familiar with. I have read it only two or three times and never with any particular sense of joy. Yet suddenly I felt that I must try it again, that this time I might finally unlock its charms. It does not begin well. 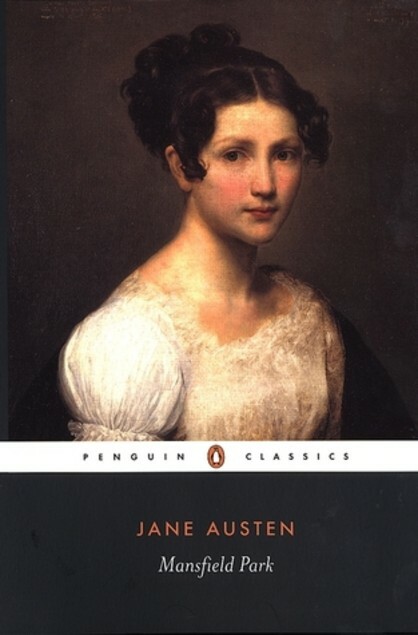 Austen, whose masterful opening lines for Pride and Prejudice, Northanger Abbey, and Emma can be readily quoted by even non-rabid fans, was frankly slacking off when she commenced Mansfield Park with a rambling compound sentence on the history of the Bertram family. It is an immediate reminder for readers that this is her least sprightly, least optimistic novel. Even Persuasion has more energy and hope in its pages. Yes, structurally it is beautifully, thoughtfully crafted and has a cast of well-developed characters second only to Emma, but, like Fanny herself, only after a long acquaintance do you come to recognize the book’s virtues and love it. First, you must make it through the opening pages, at least to Fanny’s arrival at Mansfield Park. Well, I have done that now so, trusting that the worst is behind me, look forward to reading on. But, a bit shamefully, I must admit that I am more excited to renew my acquaintance with the charming Crawford siblings than with Fanny or Edmund. I’ve been thinking about Classic Books that I haven’t read yet and this was one of them. I haven’t read Persuasion either, but I think it’s in the 746. Time to revisit Austen I think….. I love this book, so glad you’ve found it more enjoyable this time round. I agree, the beginning doesn’t inspire the reader, I had to push past the first few chapters before I was enthralled. 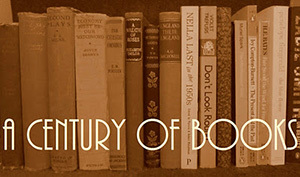 That’s part of the trouble with the book, isn’t it? The Crawfords are so much more appealing than Fanny and Edmund. I’ve read the book twice and liked it better the second time around. I’m sure I’ll read it again sometime and hopefully I’ll like it even better. Glad you made past the beginning and I hope the rest blossoms out into something good for you. I found MP very tough going the first time I read it (age 17) because I was expecting it be another P&P, which it definitely is not. Don’t give up, though! There is a lot to like here. Even though MP will never be my favorite Jane, I definitely liked this better on my second reading…and I agree, the Crawfords (and I would add Lady Bertram) are the best things in it. I reread this two summers ago and it certainly isnt my favourite Austen, although i agree about the Crawfords. I love the Crawfords too. I always think Jane Austen unfairly made Henry Crawford terrible at the very end of the book, so that Fanny could marry Edmund. I find that “favorite” Austen rankings change considerably over time. Definitely MP has moved up with age. Re-read it late last year, to celebrate its birthday. Was surprised at how much I loved it, considering it was a big meh 15 years ago. Liked Mary more, liked Edmund way less!